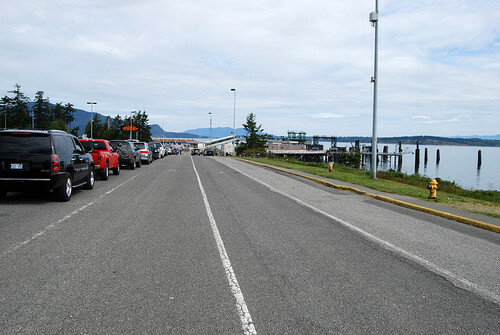 On Saturday and Sunday, May 16-17, 2009, we drove SR 20 north, which is signed Spur 20 or 20 Spur, depending on the sign, and then isn't signed at all for most of its length because it's on the ferry system. 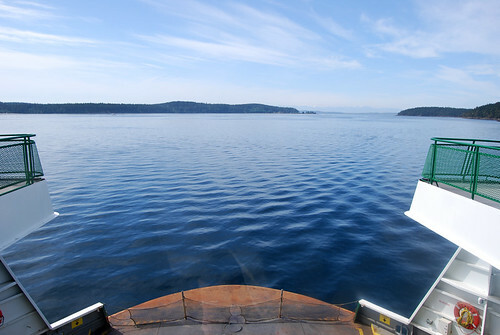 To the glorious San Juans, we go! 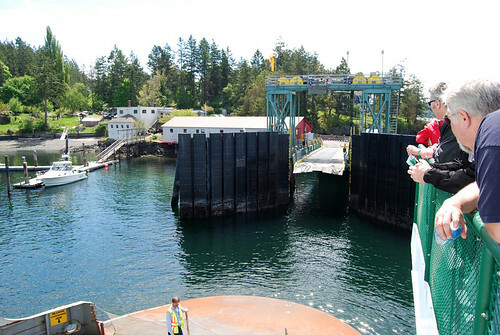 From the state ferry terminal at Anacortes via the state ferry system to the state ferry terminals at Lopez Island, Shaw Island, Orcas Island, and Friday Harbor. 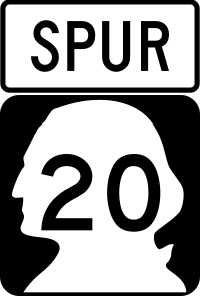 State Route 20 north starts on Fidalgo Island at a junction with SR 20. The driving portion is quite short, so don't blink. 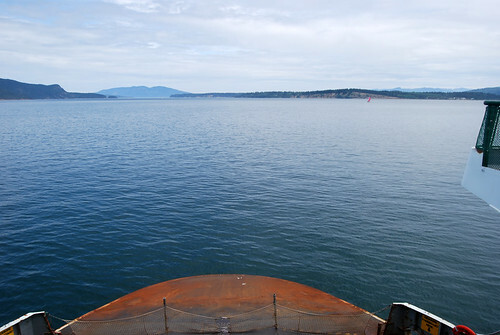 A few minutes later, we're in the middle of Anacortes (named for a woman named Anna Curtis). We're also halfway between the junction and the ferry terminal. And here's the dock! Time to wait. . . and wait. . . But at least it's a nice place to wait. A little while later, the boat shows up and we get on. Approximately halfway between when we started waiting at the dock and when we're going to arrive at Lopez Island, we're still in Ship Harbor just a few feet from the Anacortes Dock. But that's the way it goes. The San Juans lie off to the left. Um. . . port. Anchors away! Here comes Lopez. Only foot traffic can disembark for this sailing. Lopez is a good place for bike riding. The ferry then steams away from the dock, turns 90°, shifts to the opposite end's engine, and starts moving the other direction. And that turn took about half the time to get to Shaw Island. Shaw's dock is just around that point to the left. . . um. . . port. 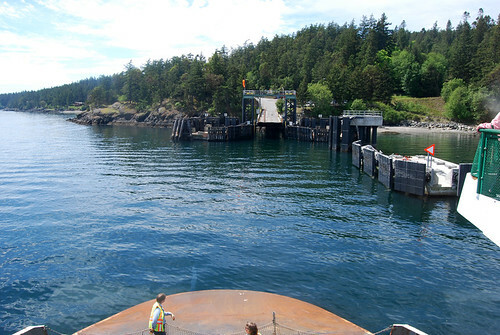 Only 200 or so people live on Shaw Island, and there's not much in the way of activities for visitors, but it has ferry service! I guess it's because it has a better harbor for a dock than other islands like Decatur and Blakely. 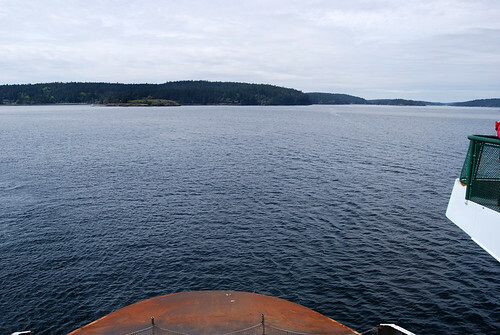 After another three-point turn, we're sailing across Harney Channel straight for Orcas Island. Good ol' Orcas! We drove off the boat here because there wasn't a daytime route that stopped at all the islands. Plus, camping at Moran State Park was cheaper than anywhere on San Juan Island. $22 for lakefront property! Sunday morning, we board another ferry. 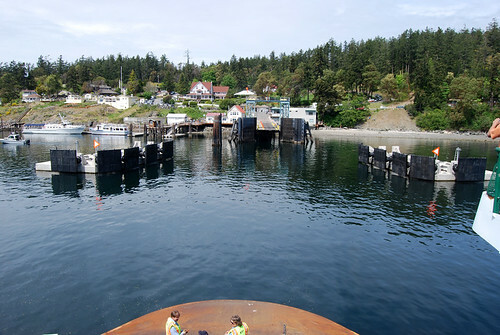 Surprisingly, instead of weaving through Wasp Passage north of Shaw Island, the ferry goes to the east of Shaw. They must've planned it, though, because we stayed on schedule. 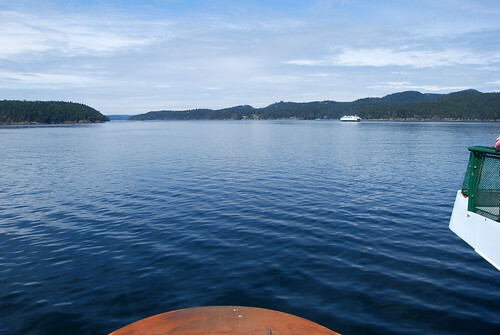 Halfway to Friday Harbor, we're cruising down Upright Channel with Lopez off the port and Shaw off the starboard. 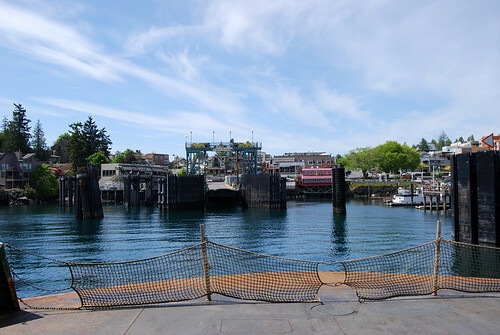 And here we are at the end of the line: Friday Harbor, the heart of the San Juans. The state highway doesn't include one foot of roadway on any of the islands, so there aren't any "SR 20 Spur" signs anywhere, but we know the truth, don't we? Quite a scenic route, and I didn't put much mileage on my car, either! We had to pay fares, though. . . The San Juans are peaceful and relaxing. I'll have to get back on this "highway" sometime again in the not-too-distant future. Interesting — so the run to Sidney doesn't count as part of SR20, even just that part within U.S. waters? 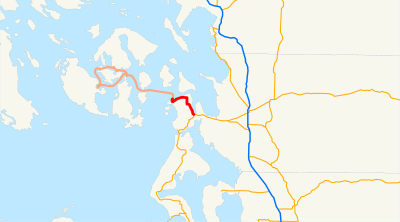 But I thought it was a requirement that all ferry routes be part of a Washington State Route, hence SR 339, the Seattle-Vashon passenger ferry. I find that odd, as well. 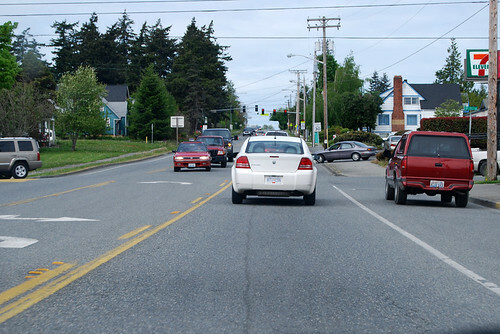 WSDOT is going above and beyond their legislatively mandated requirements by servicing to Sidney. The Seattle-Vashon passenger ferry is now paid for by King County, even though WSDOT is still running it. 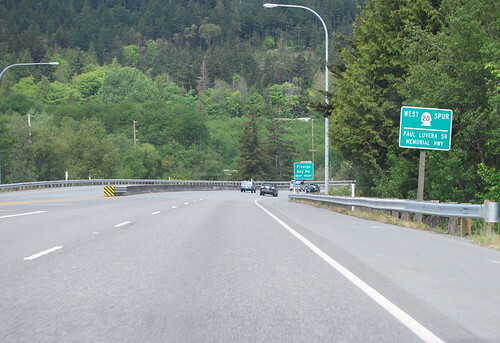 So WSDOT has transferred SR 339 to the county even though the legislature didn't say they could or should. I guess they don't always do what they're told. . .